The Perfect Gift for a Stylish Friend - Boy or Girl! 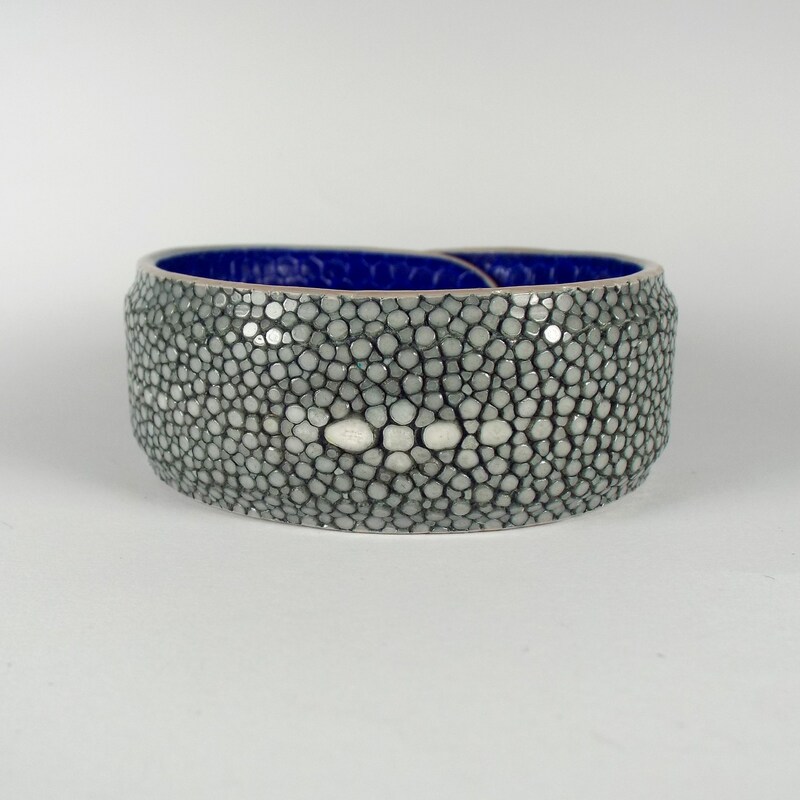 The outside of this bracelet is covered in stingray skin with its signature caviar structure, the inside is lined with snake leather and is embossed with ‘MMzS’. The stingray skin has a wonderfully understated sparkle to it when the light hits one of the little caviar plates at a specific angle. The bracelet is incredibly easy to open, close and wear as each end of the bracelet has a magnet hidden in between the layers of leather that keeps the bracelet securely in place. The bracelet comes in two sizes in terms of width and diameter. The smaller one goes very well with a daytime outfit or in the evening as part of a bracelet stack. The wider one is perfect to go with an oversized top for ladies – or as an accessory for a stylish gentleman. 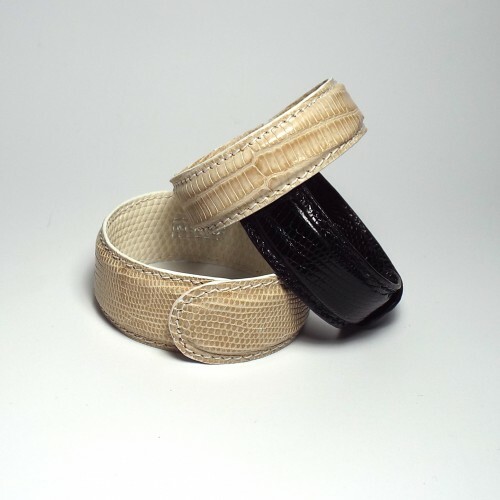 Please note that the larger size bracelets have the signature stingray pattern as in the photograph, the smaller sizes are made of the even caviar-structured stingray skin. Material: outside stingray skin, inside snake skin. The stingray skin is very high quality; it is dyed grey but it does not have the artificial white 'eye' painted on, as we prefer to focus on the natural beauty of the skin. The leather is compliant with the Convention on International Trade in Endangered Species of Wild Fauna and Flora (CITES). Please note that this bracelet is made to order. Please indicate in your order which colour of snake skin you would like as lining. Please expect delivery in 4-6 weeks.